It’s one of the most unlikely films ever made. 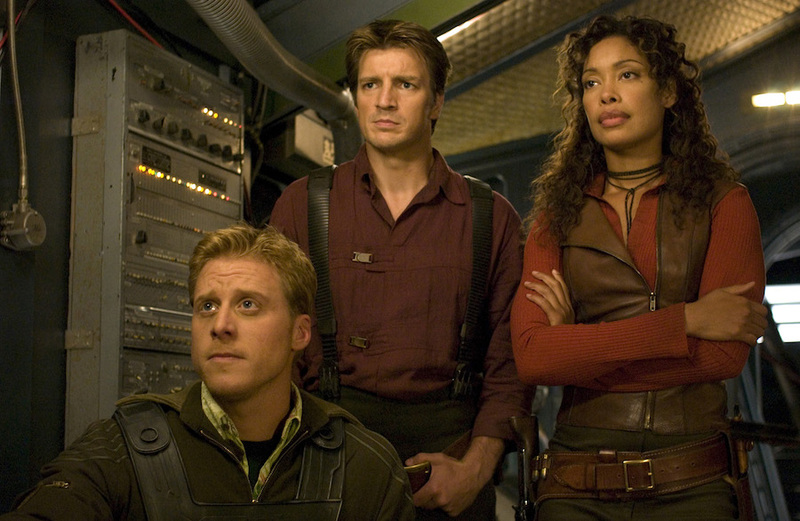 After the show Firefly was dumped by Fox midway through its first season, it returned as a feature film, Serenity, just a few years later. 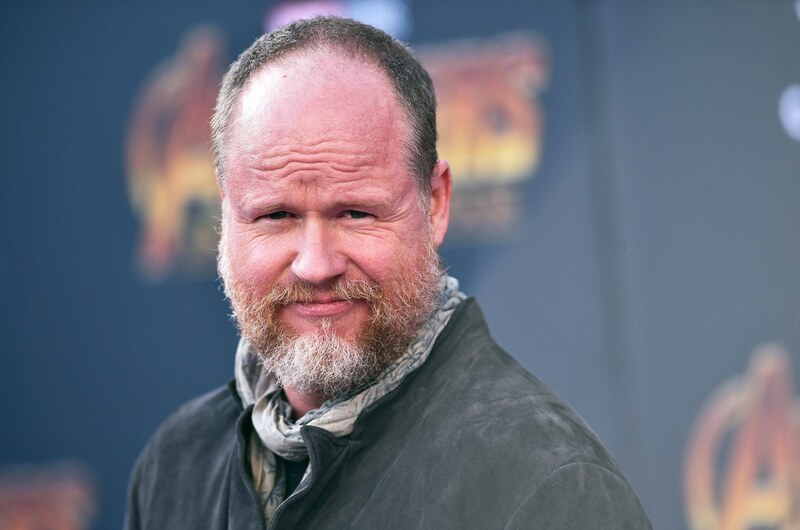 That’s thanks in large part to a dedicated fan community which quickly became obsessed with Joss Whedon’s vision of a hardscrabble future — a space western full of moral ambiguity and unanswered questions. Those fans pushed hard to keep the franchise alive, and though grit and determination it finally happened in 2005, three years after the TV series vanished. Some sections of the set were rebuilt thanks to blueprints that were nearly lost. 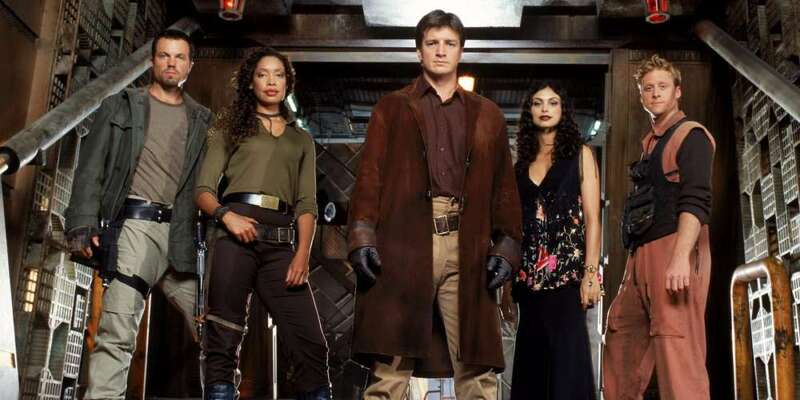 Firefly star Nathan Fillion had taken photos of some of them when he was working on the show, and he was able to supply the movie’s production design team with reference materials they would never have otherwise had. The film is loaded with sly references to the show Firefly and to other films. The bizarre “fruity oaty bars” commercial is influenced by the “Mr. Sparkle” commercial from The Simpsons, and Wash’s iconic “leaf in the wind” quote is similar to the “I will bend like a reed in the wind” line from Dune — both declarations on the power of nimbleness. The twin characters Fante and Mingo in Serenity are named for sinister figures in the 1955 noir film The Big Combo. Blink and you’ll miss a reference to the movie Forbidden Planet — the crashed ship on Miranda is labelled “C57D,” which is the serial number of the saucer from that classic sci-fi film. One of the ships that gets blasted to pieces is a duplicate of the Betty from Whedon’s film Alien Resurrection. And listen closely to hear strains of the soundtrack from the game Civilization II. There’s even a reference to the poem “The Rime of the Ancient Mariner” when Mal observes that an albatross is only a burden after it’s killed. Elsewhere in the film, actors can be seen wearing costumes from the movie The Postman — fitting, since armor from the TV show also appeared in Starship Troopers, Planet of the Apes and on Mighty Morphin’ Power Rangers. With such rich lore and attention to detail, we might’ve gotten a sequel to Serenity. In fact, Universal wanted to lock in key cast members for a sequel with contracts; but the reluctance of certain actors to agree to those terms is why their characters are killed in the movie. Ultimately Joss Whedon pivoted to focus on the Avengers movies after Serenity, and it’s unlikely we’ll get a continuation at this point. But that hasn’t stopped fans who kept the world of Firefly alive. Through fan fiction, art and ongoing discussion, the audience has taken the reins of the franchise over the last 15 years, and fans are now the custodians of a universe that was discarded by corporate media. 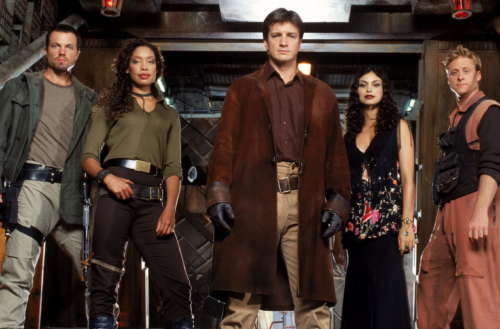 Are you a fan of Joss Whedon’s show Firefly and film Serenity?